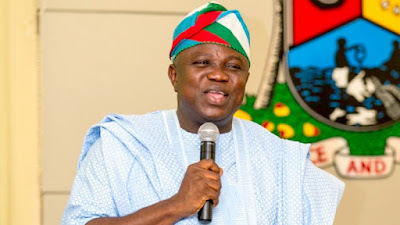 Hon Mudashiru Ajayi Obasa, Speaker, Lagos House of Assembly, on Tuesday challenged Governor Akinwunmi Ambode to tender evidence that the legislature was being paid N800m monthly as running cost. He spoke during the presentation of the 2019 budget by Governor Ambode. “Unfortunately, no one from the Executive has risen to refute the baseless allegations. Since no one has come up to address this, it is incumbent on us then to come forward and debunk the allegations. As such, I use this medium to challenge the governor, the Finance Commissioner and the Accountant General of the state to prove that we have been collecting N800 million per month since the onset of this administration. Thank God the governor is before us here today; so also, is the Finance commissioner sitting in this hallowed chamber. I likewise challenge the faceless group to prove that this Assembly has been collecting N800 million per month as alleged. “In the same vein, this is also an opportunity to shed more light on unsubstantiated allegations regarding financial misappropriation, which is a clearly well-orchestrated campaign to disrepute my character and integrity as the Speaker of the Lagos State House of Assembly, and by implication tarnish the image of the legislative arm of the state government. “It must be known that the monthly running cost of the Lagos State House of Assembly covers the entire expenditure of the House comprising the 40 elected legislators and the administration of over 700 staff. It includes sundry items such as travels, training (both local and overseas) office running and maintenance, vehicles, entertainment, publicity, security, protocols, logistics and administrative costs among others. “Dear Lagosians, as an arm of government, we are not at odds with the Governor over anything. Rather, we are diligently playing our roles in contributing to the transparent and accountable governance that has made Lagos the envy of all and a model frame of reference in terms of development in this political dispensation.